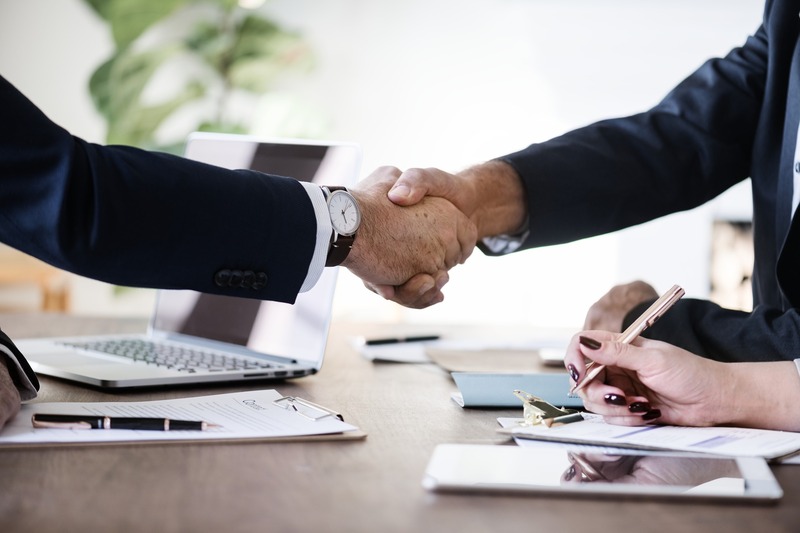 It does not matter if you are selling software packages, software-as-a-service (Saas), or new spring potatoes – knowing how to sell software is knowing how to sell! Selling software is no easy task! It’s a huge market, teeming with competitors, and discount pricing. But if you are selling software to small businesses, to enterprises, or to individuals, these 20 tried and true tips will help hone your game. Knowing what you have, who your target is, and what they need are critical. Once you know that, selling your SaaS or enterprise software gets much easier! One of the easiest ways to lose a sale is trying to sell it to the wrong people. Before you begin, make sure your target is well defined and up to date. Are you targeting marketing managers? If so you will want to make sure they hear a good value proposition. If you are targeting technical buyers, then make sure your features are also in order. Your efforts will be rewarded! 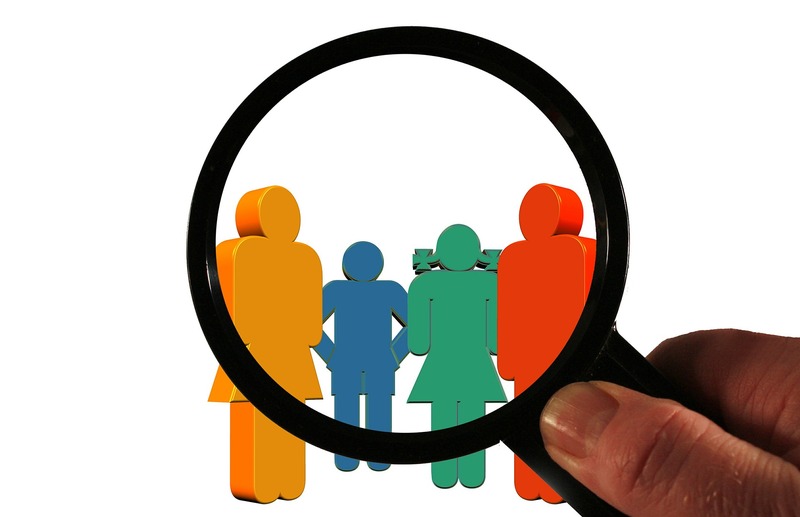 Need help on market segmentation? Read more here! Everyone knows their own problems! You can prepare yourself to make more sales by drawing up a list of how your software will make their lives easier and business better. The solutions you bring talk about them not about you. When you are selling software, make a list of all the things it will do for your clients before you start. If you can show them how you will solve their problems, you are more than halfway to closing the deal! Tech talk is important, but the benefit is the key. As the man said, “You don’t sell the steak. You sell the sizzle!" Take some time to understand all the features of your software and then turn each of the features into a benefit. For example, it may have a customizable CMS. The benefit? Easy to use and tailor to your exact needs! When you talk about the features, the customer hears Me, Me, Me! When you talk about benefits, then they tune in and pay close attention! Are you selling on commission? Here are the Pros and Cons! If a picture is worth a thousand words, experience is worth a thousand pictures! If you can, let your customers test out your software for free. This could be done either through a free trial period or an online exercise that will give them first-hand experience of how easy and great your software will be for their enterprise. Once they get into it, it will be harder for them to say no. Consumer psychologists show that people retain only some of what they hear, a little more of what they see, and many times more if they can touch. Bring on the real! If your software has a name, then it probably has a brand! Your brand is your identity and a big way to help people make buying decisions. Try to use your software’s name as often as you can instead of saying “it” or “this product”. The name will stick and remembering it will help them trust. Also, if you are making comparisons to other brands, leave their names out. Microsoft? They’re just the other guys. Actions speak louder than words! Pack your pitch with a lot of real-life examples. You can use them to show how your software works for others and, by extension, how it will work for your customers too. There is a huge difference between saying that your software assists with rationalizing your filing system and showing them how "Smith & Johnson doubled their business by using SmartFile!" Showing them how it can work for them will help them imagine themselves using it and getting the results they dream of. Do your clients really know you? Polish your LinkedIn Profile! What is your unique sales proposition (USP)? Chances are it is one of the main benefits of buying your software so don't bury it deep in your pitch! Get your USP front and center as soon as possible and make sure you deliver it in the form of a benefit. You might have world clock app that delivers stock types in each market as it opens. Your USP is the in the tips, not the accuracy of the clock! The benefit? See the Nikkei before Tokyo traders do! Whatever your USP is, it is crucial that your customer start thinking about it from the very beginning! It is said that 84% of Generation Z, tomorrow’s customers, watch at least one video every single day. Video is a great way to sell your software – you can make a how-to video showing how to use it, you can make a sales video that talks them through it, or you can make a UX video with people saying nice things about it. There are so many ways video can boost your sales. Videos are entertaining, increase understanding, and boost retention. All of these convert into higher sales of your software. The most complicated concept in the world can be summed up in short, easy to understand sentences. And on the other side, by making your sales pitch and information overly complicated (an easy trap to fall into) you can lose your customers as they fall asleep or click away. Keep the message simple. Keep your language easy. Use active words and not passive ones. Customers and consumers want to know and understand fast – if they do, they are more likely to buy. Simple, right? Is there some small part of the package or the SaaS you can offer for free? While you do not want to give the whole thing out for nothing, customers will consider it a mark of good faith and trustworthiness if you let them take something away with them. The important part of this is to make sure that they cannot have full functionality without buying. The best sales argument is a satisfied customer – so why not find a few? A good testimonial will always help a customer feel the benefits of the product much more directly. You can solicit testimonials from customers you know by email, or you can have an open area for feedback and comments on the site. Make sure that the testimonials talk about how the product works, however. A lot of time, feedback can be limited to “it’s great!” Although the feel-good factor is high, a little more detail would also be good! Are you a Senior IT Sales Professional? What’s Your Next Move? Our stories are what make our brands come alive. Tell the origin story of the software (like Steve Jobs’ garage story). Let people see the brains and process behind it. We like stories because we can often identify with them – or at least parts of them. A good story should not shy away from showing the failures too. If it took you 23 beta versions to get it right, tell them about it. It shows your integrity. This is a quality that sometimes gets lost in the sales effort. You are so pumped up about your product that you can overlook the customer and his or her feelings. They are listening to you because they have a problem that they hope you can solve. Feel their pain with them, show you understand, and you will bring them over to your side all the faster. When people have problems or questions, they really want to talk to human beings about them. A good FAQ is essential, but sometimes people cannot find the answers they need in them. If you don’t yet have the resources to provide a 24/7 support service, then you can make a hybrid solution with chatbots combined with human backup. We all need to be understood. As prepared as you might be, you might also overlook some problems that your software can solve for your customers. Spend time on the search engines and look for all the different possibilities and build them into your benefit list even before clients ask about them. This is a sure way to help position you as an expert in the field and engender trust. Numbers are our friends. When you are pitching a new marketing campaign to sell your software, keep an eye on the numbers. You can track almost every aspect of your campaign – from headlines to keywords, to ranking, to long-tail searches, to just the number of clicks be a link. Each of the results will help you refine your message to make sure it is getting through to the right people at the right times! You can test every aspect of the campaign until you get it just right! Pricing is always a sensitive area with customers. When you publish your prices, make sure you offer the customer a number of options that will allow them to find themselves in one of them. The best strategies offer groups of three packages – we like to process things in threes and, psychologically, when people see groups of three, they automatically tend to choose one instead of just ruling them all out. Also, do not talk about price too early. If you are the cheapest on the market, then it is ok, but chances are you are not. Get them hooked on the benefits first, then you can give them your options! No product can guarantee that it will help sell more and work perfectly. But what you can guarantee is the satisfaction of your customers. Offer a guarantee that shows them you stand by the product. If a customer is not happy with your software, offer to help. Maybe you can help them solve their problems in understanding its implementation. And even so, it will help you learn how to explain it better. Finally, we all know how dangerous an unsatisfied customer can be – so don’t give them the chance to complain! Making a timely refund will gain their respect and next time they will come back to you again. Just like testimonials, customer reviews can be an essential selling tool. You might think about asking a few to test the product (for free) and write about it. The reviews will add legitimacy to the products and, very likely, will spark sales among the testers too! When customers and potential customers write about you, it also dramatically increases your SEO value as well! This is a win-win idea! Because we understand that the most important part of starting a new venture is having sound information and advice, we are constantly bringing you articles like this one and others like it to inspire you, to add to your knowledge, and to help you achieve the best results. While we hope that they will help you focus on your projects, we also help by providing opportunities to seasoned professionals like yourself and IT companies throughout the EMEA region. Bringing talent together with opportunity is truly our privilege, and the unique network that we have built for you will be a springboard to success. If you have not done so already, take a moment to register with us and discover the world of opportunity that awaits you. And if you are an IT company looking for the knowledge and experience that only senior professionals can offer, then, by all means, sign up with us here and we can put you on the right track to fulfilling your needs. 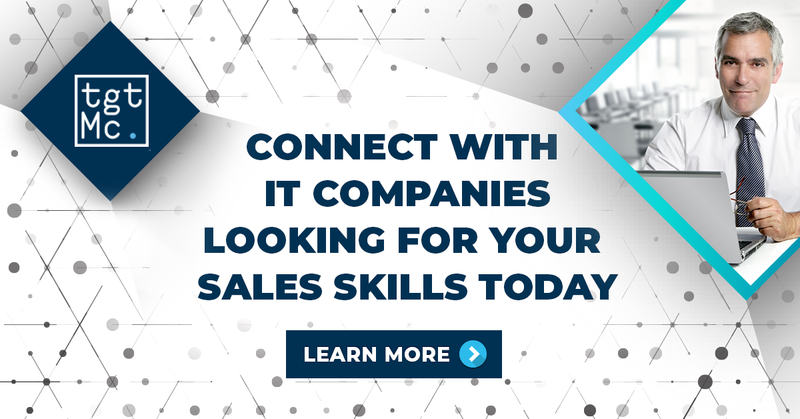 Senior IT Sales Professionals will find a wealth of resources in their journey to become IT entrepreneurs not only through fact-based articles but also by being part of a real network of real IT companies with real needs. And IT companies will find here a vast array of talent and potential outsourcing services with our new entrepreneurs, helping to increase efficiency and raise the bottom line. Register now! Can you really afford to wait?